Bit-tech recently spent a weekend in Istanbul covering the European finals of this year’s MSI Master Overclocking Arena event. 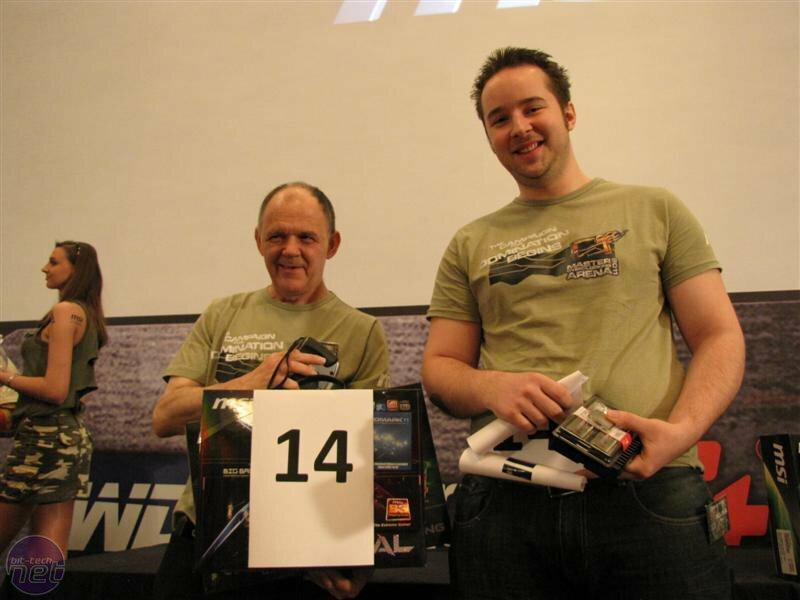 Representing the UK at the event was the OC3D team, which was made up of Tom 'RawZ' Rawes and Eddie 'PCTwin' Coyle from the OC3D forums. The team finished a disappointing 15th in the competition, but they kindly found some time after the event to sit down with us and talk about life as an overclocking addict, and explain how they came to represent the UK at an international event. If you’ve ever wondered how to get into extreme overclocking and sub-zero cooling, then read on. bit-tech: The MOA is arguably the largest overclocking event in the world and you’re here representing the UK in the European finals - does that make you guys professional overclockers, or are you still just enthusiasts? Tom Rawes: I think so, I’d say that you’d call anyone who regularly uses extreme cooling like LN2 or dry ice a professional overclocker. I've been doing that for nearly two years now; I did overclock before then, but obviously it was just under standard air or water-cooling. I definitely consider myself a professional overclocker, but not an elite overclocker; there are still things like volt mods which, while I understand them, I wouldn’t be able to put into practice in a timed event like today. That’s reserved for just a very small group of maybe 50 or so people in the world who I would consider elite, rather than just professional overclockers. Eddie Coyle: Yeah, those kinds of people are usually sponsored or employed by motherboard manufacturers such as MSI, Gigabyte or Asus. BT: So there are those who are sponsored or employed by manufacturers who actually call overclocking a full time job? TR: Yeah, the number one overclocker in the world is a guy called HiCookie who currently works for Gigabyte. He gets all the best kit and has helped create the new X58 OC board that Gigabyte is about to release - everyone in the overclocking community is looking forward to that. EC: They get to have a hand in designing boards and get their name on them; it’s very similar to the way Fatal1ty operates with gaming, just with overclocking instead. BT: So is reaching that kind of level the aim for you guys, or do you want to keep overclocking as a hobby, albeit one that you have a heavy investment in. TR: I should think it’s something that some extreme overclockers aspire to, but I don’t want to work for a manufacturer or anything like that personally. I just want to work towards being one of the best overclockers in the country; I’ve set myself the goal of being the number one overclocker in the UK by the end of the year, which should put me somewhere near the top 50 in the world. It’s all about trying to be number one for me, being the best at what you’ve chosen to do. EC: Pushing up the ranks like that can cost a lot though. I’ve got two teenage sons in school, so I’m limited in terms of what hardware and cooling equipment I can afford to buy. Something like dry ice, for example, I can only afford to buy once a month, so there is a limit for me; I won’t be able to push up the ranks in the same way as Tom. BT: Can you explain to us how the overclocking ranking system works? EC: Well it’s all done through a website called HWBOT, which is a large online database of overclocks and screenshots. It’s got rankings for all the different hardware out there, and you get points based on how high you are up those rankings. TR: Doing well with a specific piece of hardware only gets you hardware points, though, and you can only ever have a maximum of 300 of those. To get up into the really high ranks you need to get global points, which you get from doing well in the global rankings. This just stops people going off and getting loads of points from benching obscure hardware, as they can only ever have a maximum of 300 hardware points.